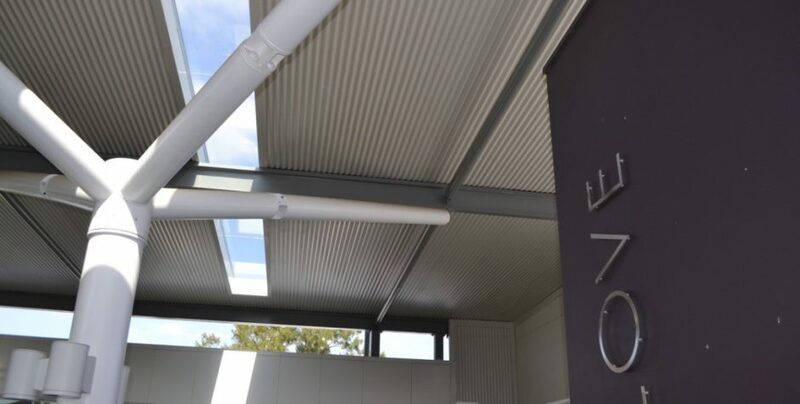 The Enquiry Centre + Stage 3 Learning Centre project for the Inaburra School, located in Sydney’s south was designed by NBRS & constructed by Reitsma in 2016. 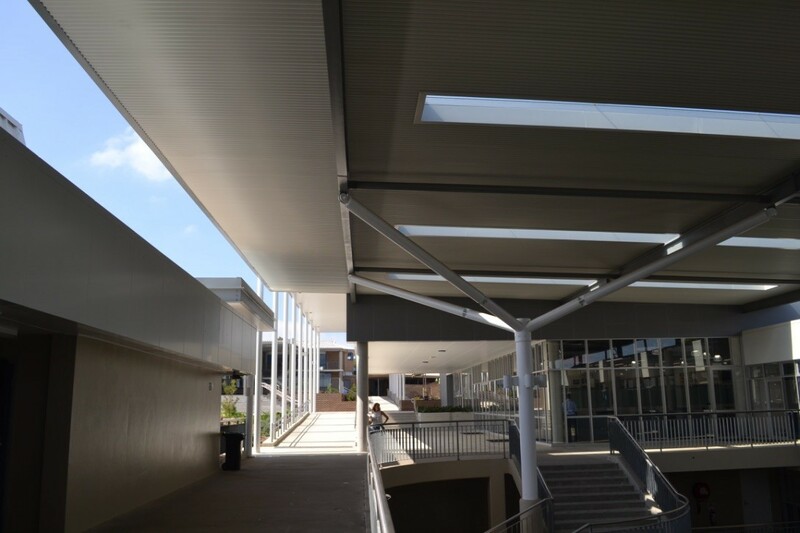 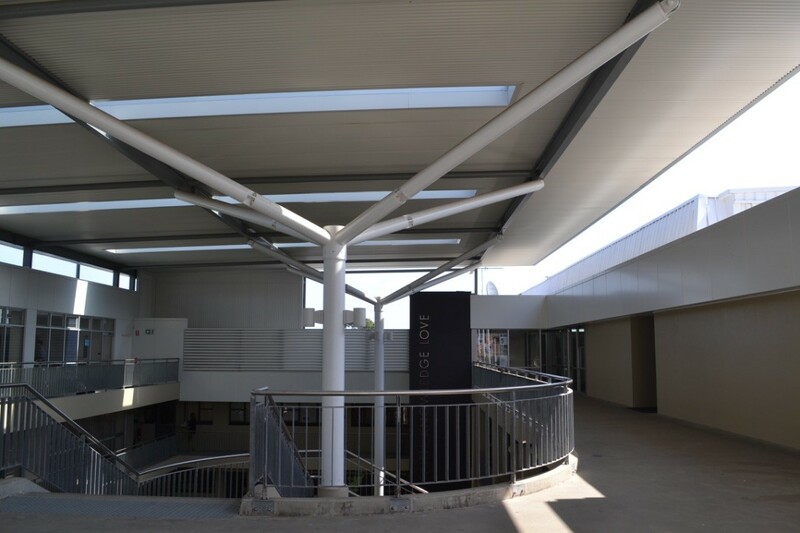 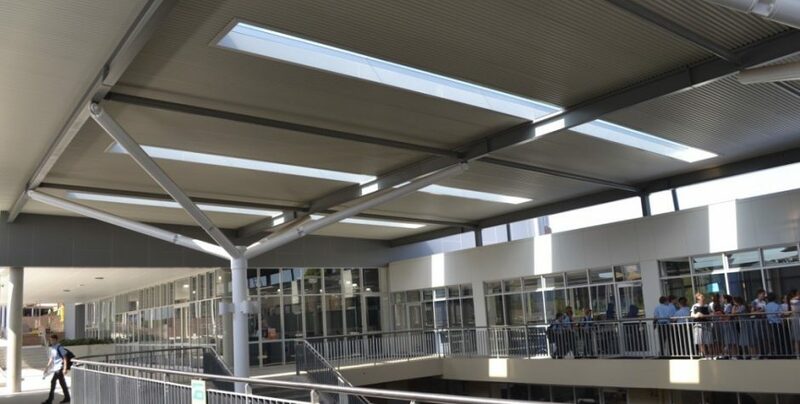 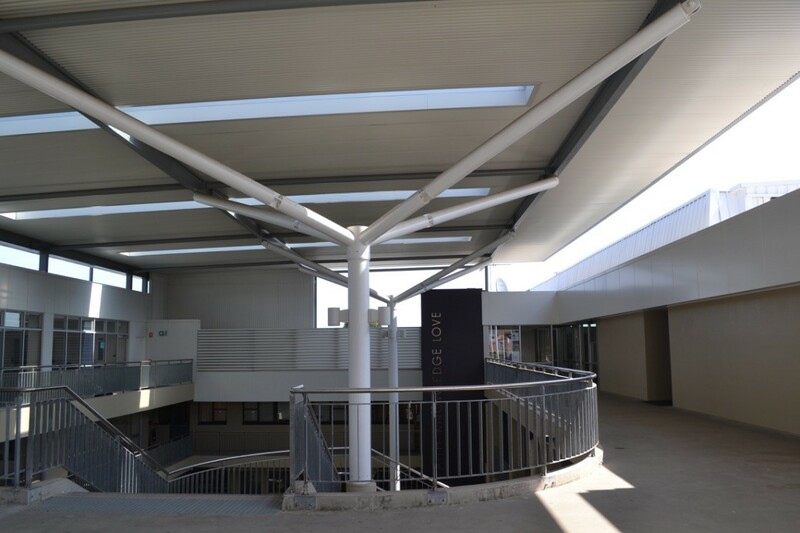 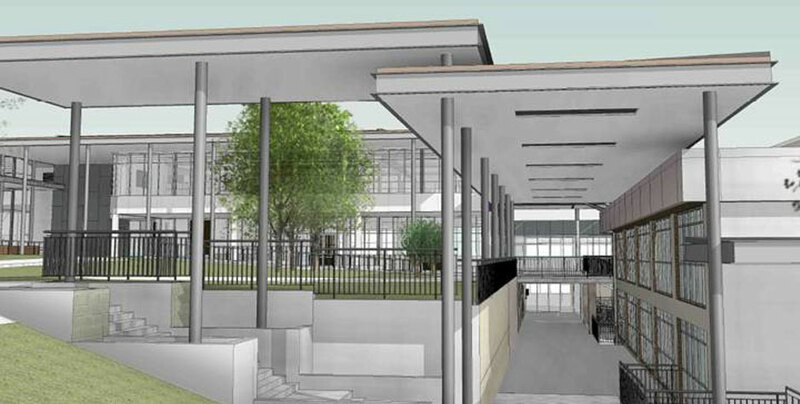 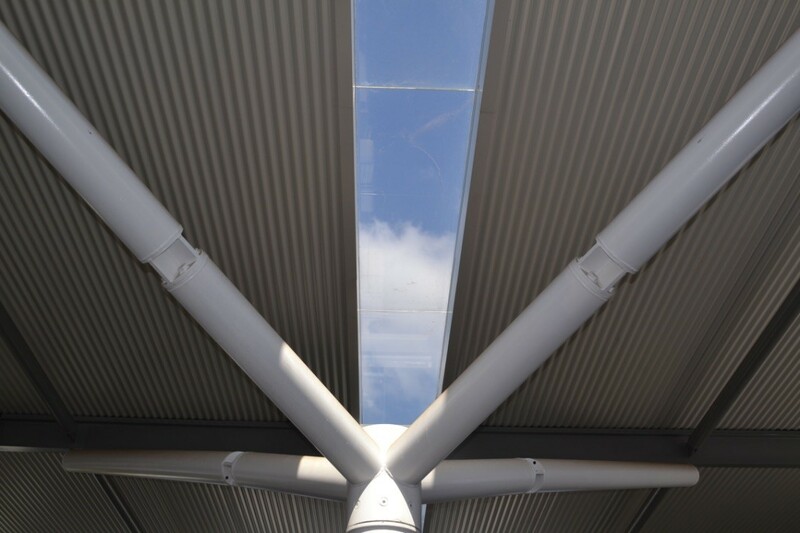 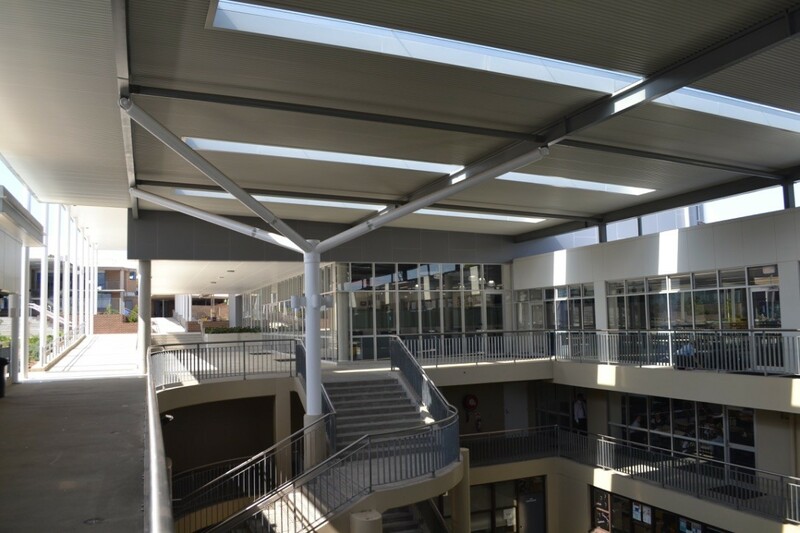 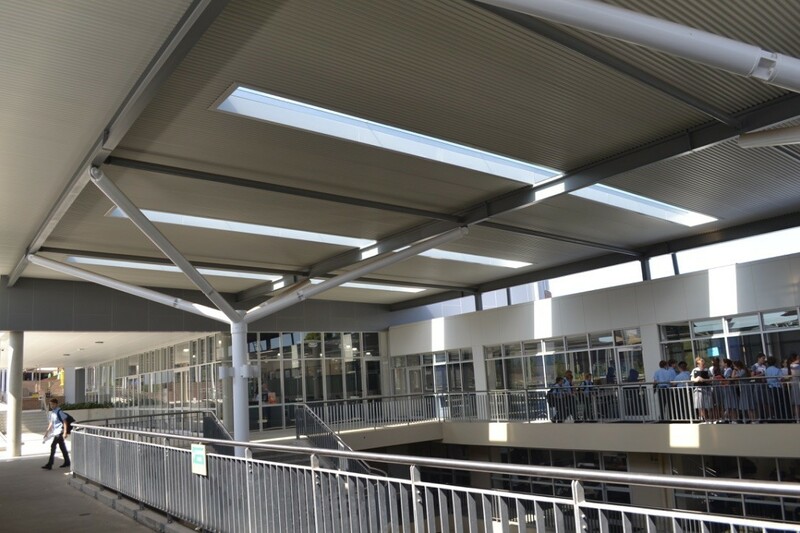 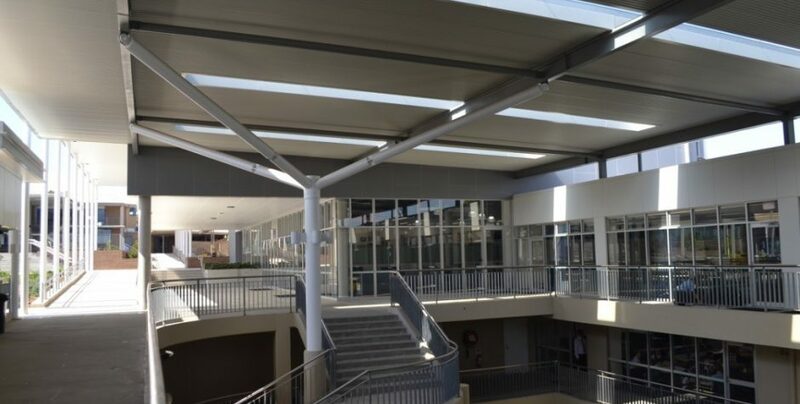 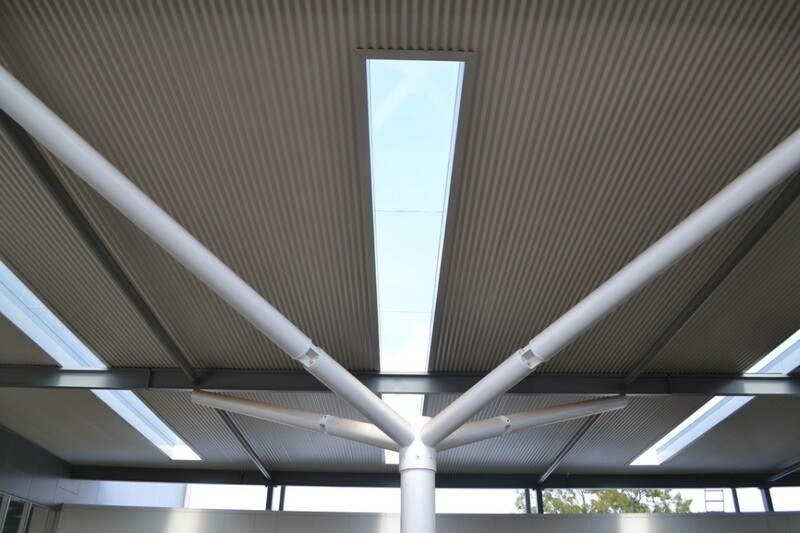 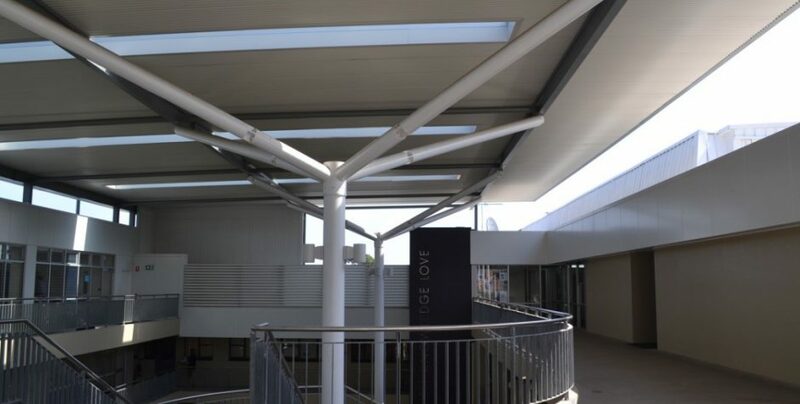 The series of covered outdoor learning areas and walkways incorporated the 250mm Ecotek Panel with a number of glazed skylights mounted on an expressed steel structure. 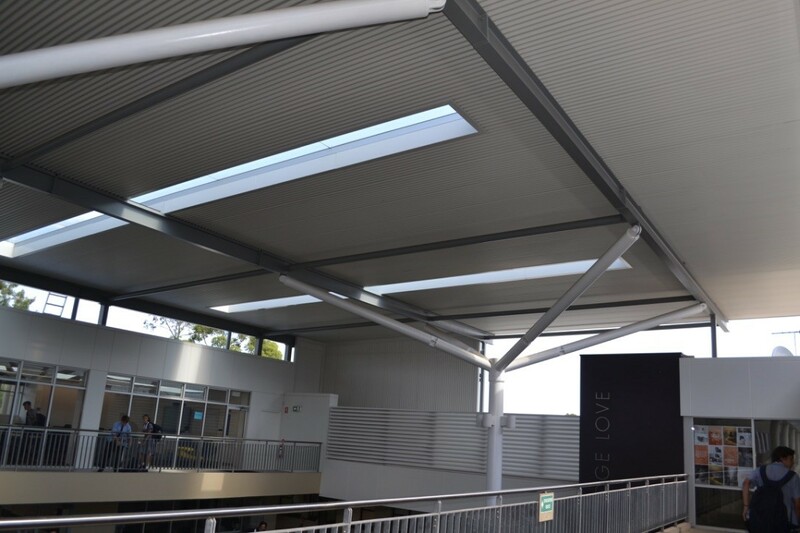 The selected panel thickness, along with the spanning and load carrying capability of the 250mm Ecotek Panel meant that the glazed sections could be accommodated to allow natural light in, whilst ARCPANELs structural insulated panels keep the rain and much of the radiant summer heat out. 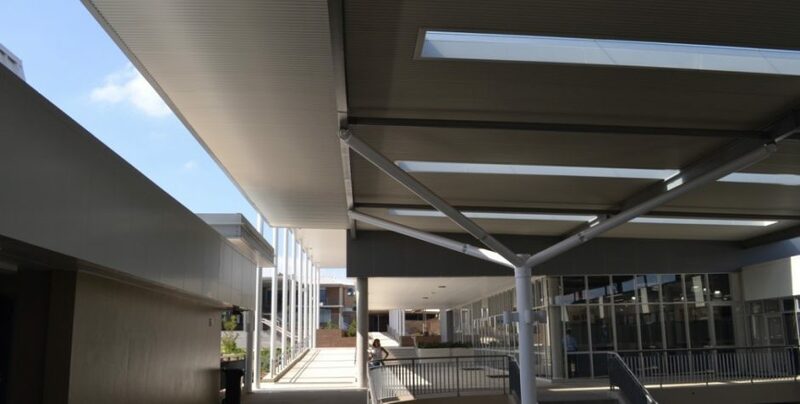 ARCPANEL staff, provided assistance to the project stakeholders including the architect and engineer, to integrate the two elements to ensure that come time to build, the project could be constructed as designed, on schedule, within budget. 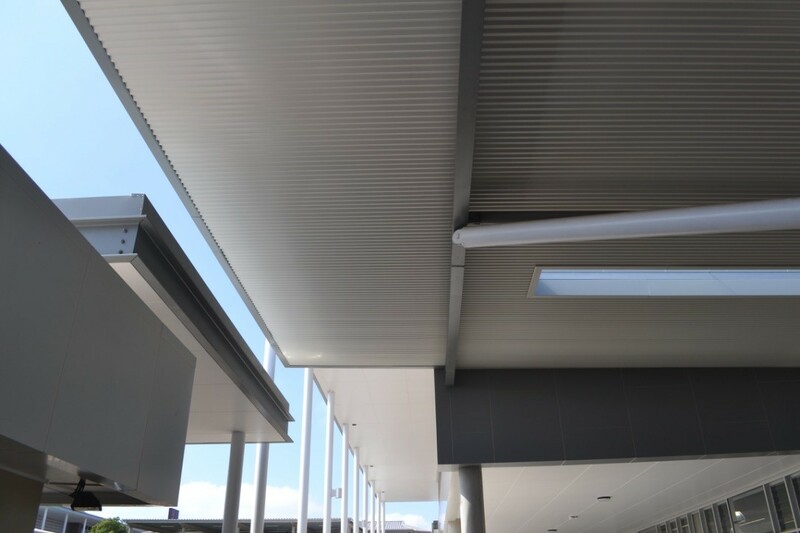 The Ecotek Panel, consisting of a trimdek top sheet and custom orb bottom sheet with an EPS-FR core, is designed for long span, low pitch, high thermal applications. 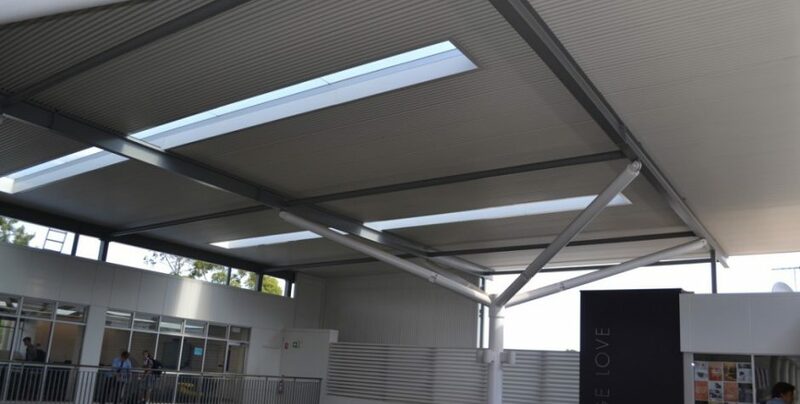 Simplistic in design, the Ecotek Panel is diverse in project application and is well suited to residential and commercial projects, both open and enclosed structures. 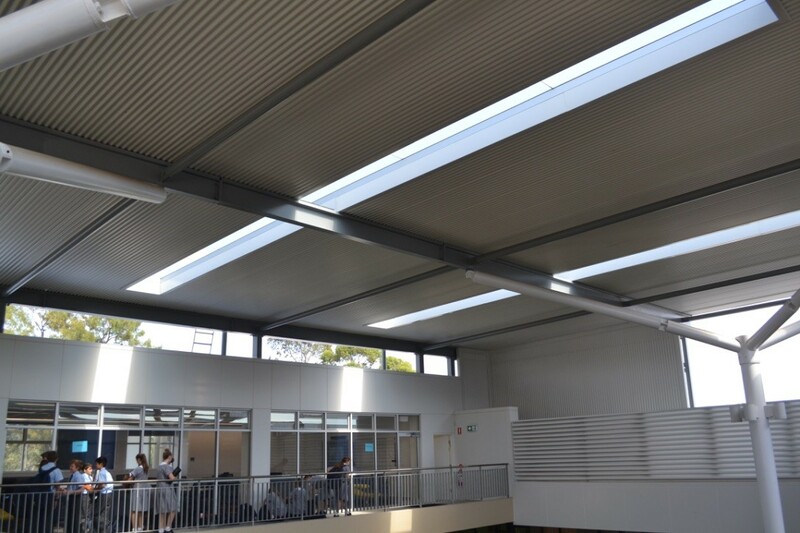 The profiled underside provides a robust, impact resistant surface, perfectly suited for multi-purpose education, sporting, & community projects where ball game and other equipment or impact based activities may be carried out. 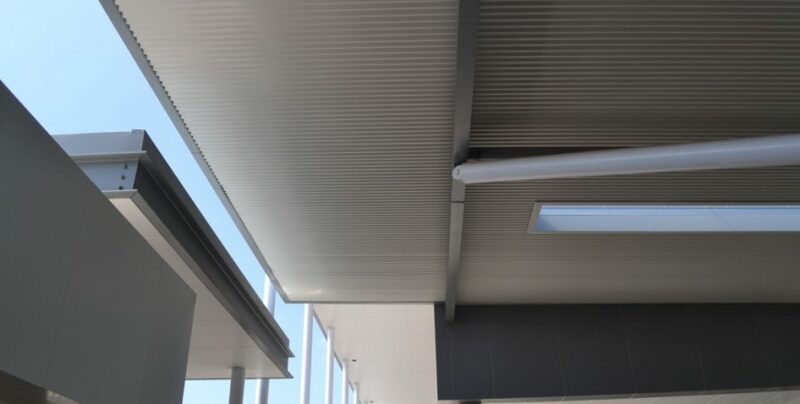 Other than the occasional wash, the Ecotek Panel is maintenance free. 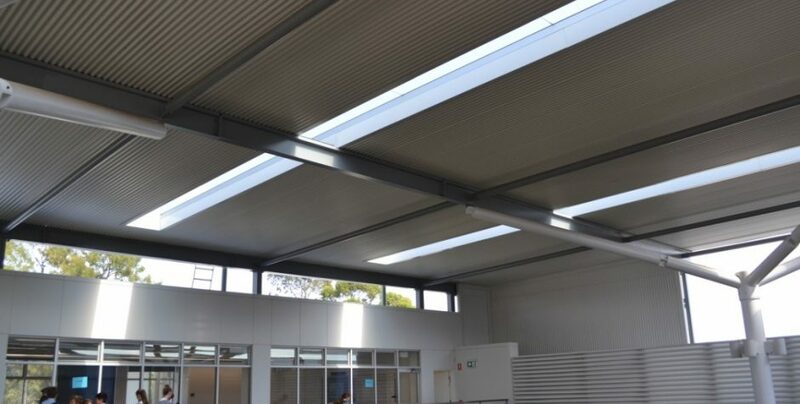 ARCPANEL systems are designed to be highly customisable while reducing construction time, onsite labour, and cost. 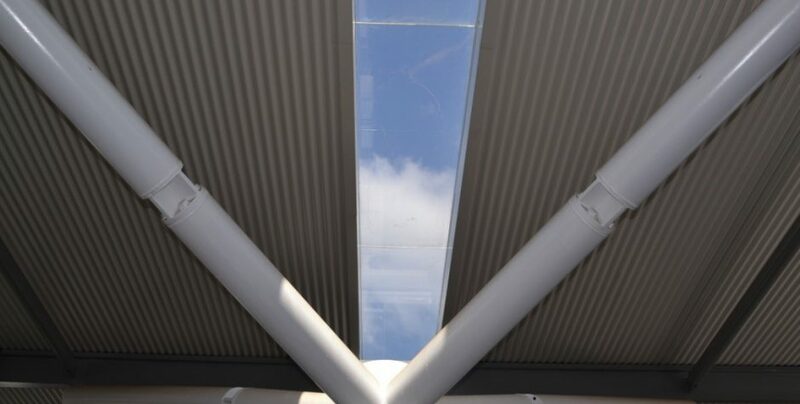 Panel lengths are made to order and available in lengths up to 24 metres. 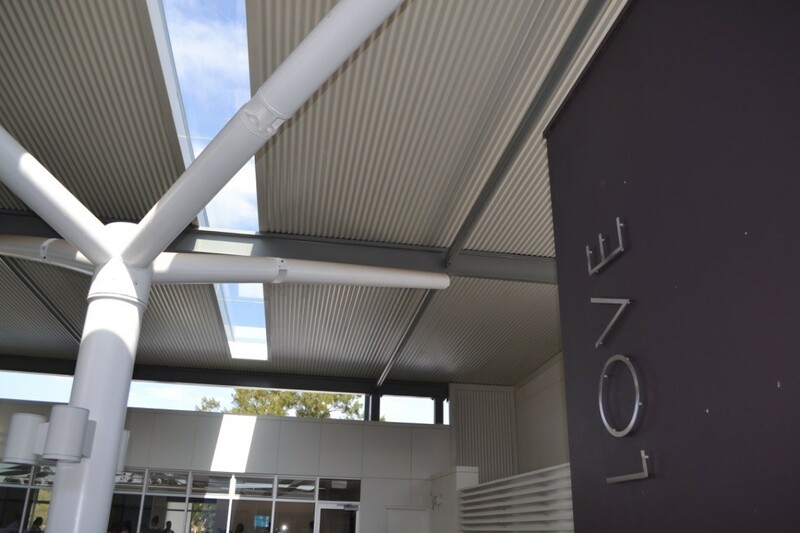 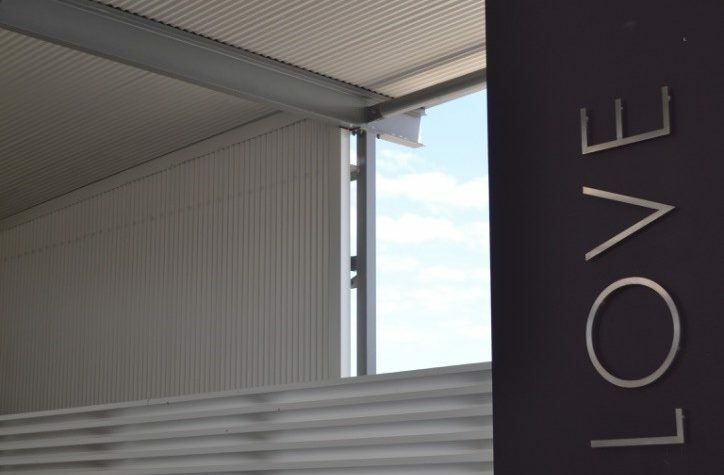 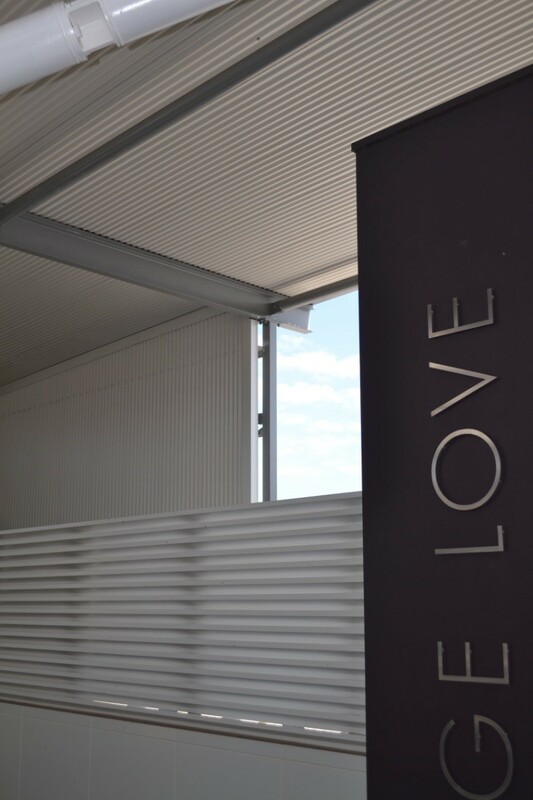 Top & bottom sheet colours can be selected from the Colorbond® range. 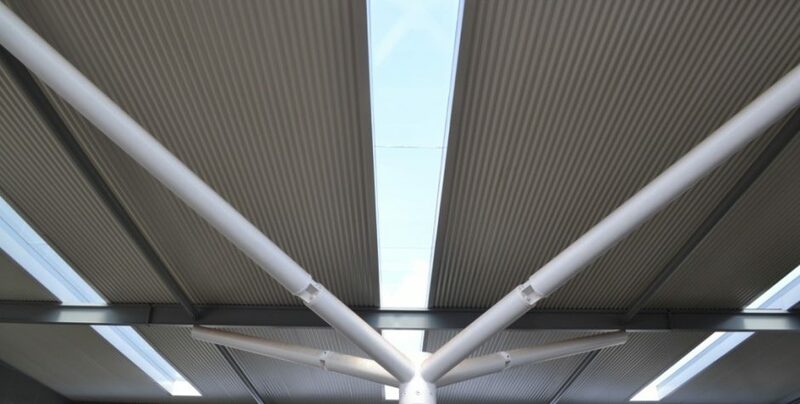 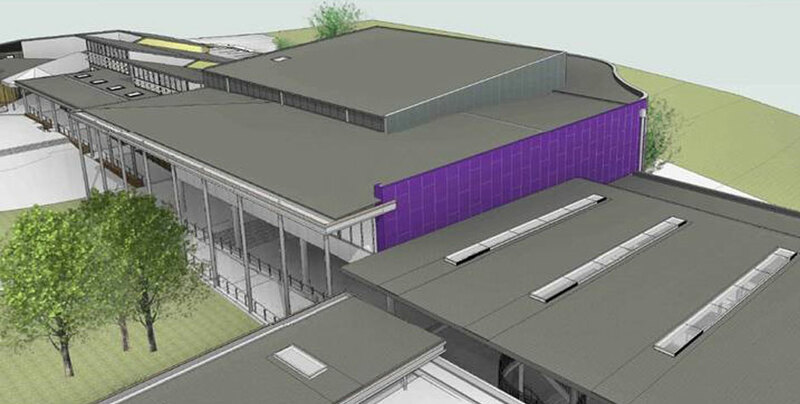 Our staff are available to provide support on demand throughout the design, documentation, and construction phases for all project irrespective of size. 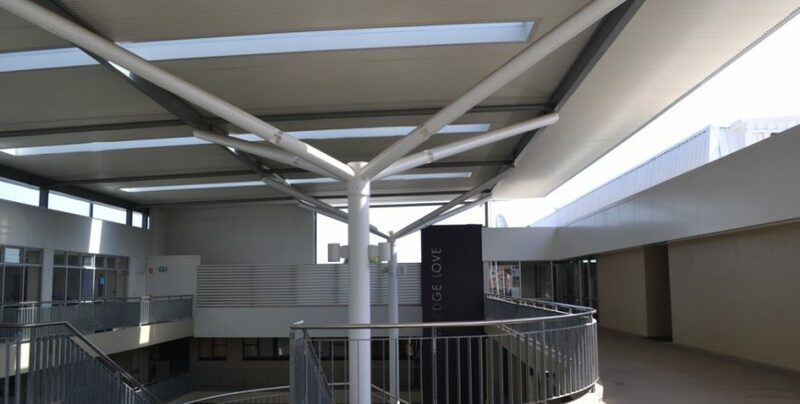 Please contact us, we are only too happy to assist with your design endeavours.